Children whose parents suffer from alcohol addiction also suffer from the effects of excessive drinking. They may have an erratic lifestyle, where there isn’t always food in the cupboards, or a sober adult on hand to supervise the household. They may be forced to take on extra responsibilities and be subjected to many pressures not usually associated with a normal happy childhood. If the child was exposed to alcohol in the womb, they may have suffered from physical effects from the mothers drinking. These can include heart problems, on-going respiratory issues (often resulting from a low birth weight or premature birth) and behavioural or learning difficulties. The children of addicts often are desperate for attention, and approval. They may be more at risk from abuse or neglect, and are likely to be pushed to one side and given less attention as their addicted parents favour time spent drinking, or spending time in the pursuit of alcohol. Hangovers and the depressant side effects of alcohol can make someone difficult to live with and children, being closest are often first in the firing line when a parent suffers from mood swings, inconsistent moods and responses. A child may feel as if they have to tread very carefully around a parent who drinks heavily, as they never know what state of mind they are likely to be in. Having such a need for attention and approval is likely to cause children, especially teenagers to sometimes behave in ways that could be to their detriment. Sexual promiscuity, a lack of boundaries and often a stronger chance that they will start drinking themselves means the drinking has a knock on effect on their life too. The child of an alcoholic may also suffer from low self-esteem. They may blame themselves for their parents drinking. The parent may have lashed out and blamed them or belittled them. Verbal abuse is common as the drinker struggles to deal with their moods. Children may become particularly fearful of angry people and deal badly with confrontation or shouting. Children of alcoholic parents may have deep seated abandonment fears. The fear of a parent becoming unable to cope, or a parent leaving can be a very real fear for some. They may also constantly worry about the degenerative effect the alcohol is having on their parent’s health, and may have an exacerbated fear of death. Another common psychological effect of parental alcoholism is feeling unable to trust people. They may feel let down by their parents drinking and feel that there is no one there for them. This can lead to further feelings of isolation and the child of the drinker may retreat even further into themselves. The effects of a parents drinking can be helped with counselling for the affected child. 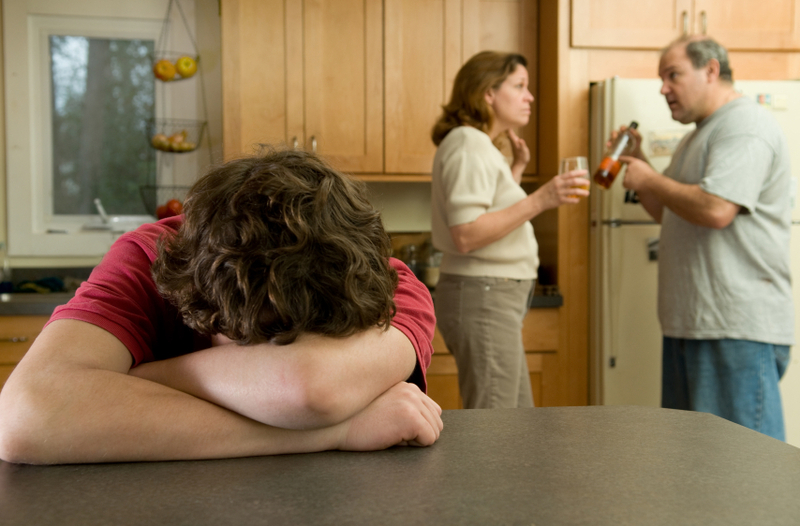 Both lone and family therapy can be useful in helping the child understand that the drinking is not their fault. If you are affected by a parents drinking then you should speak to someone you trust.